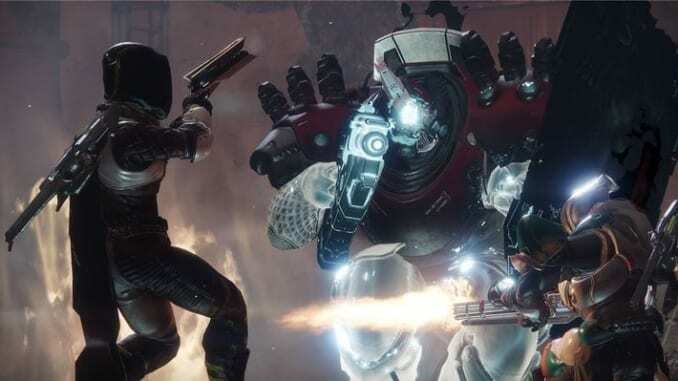 Grask is the final boss in Lake of Shadows in Destiny 2. He operates similarly to a Phalanx and also has a shield which can protect him from attacks. Grask Consumed is the last boss in Lake of Shadows in Destiny 2. He appears similarly to a large Phalax with a shield, blocking any incoming attacks. Constantly kite around him, this will prevent him from being able to block all incoming attacks. Grask has a shield and a weapon just like you. He works similarly to a Phalanx and Energy weapons won’t work on his shield. While fighting him, a lot of Taken troops will also spawn in your location. Try to eliminate them first so you can focus on the big boss. When Grask is using his shield, you can use this opportunity to recover your health. He can also quickly dash to his surroundings so be wary of that. When your Super is not yet active, just try to shoot Grask from a distance. Once you have your super ready, you can now engage him head on. Use your abilities as much as possible since you have just limited time in using your Super. Once your super runs out, quickly distance yourself and shoot from a far. Just be wary of the blight in the surrounding area as this can greatly damage you. Slowly whittle away his life by maintaining your distance and shooting from afar. Once you notice that you are getting hit by an object that is right beside you, destroy it to stop it from damaging you. As you slowly whittle away his life, the surrounding area will get more and more covered in blight. There will still be areas that you can jump to so always maintain your distance. If you have a Scout or Sniper Rifle, it will give you an advantage as you keep shooting his head. Just keep shooting and maintain your distance until you finally kill Grask and complete your task.